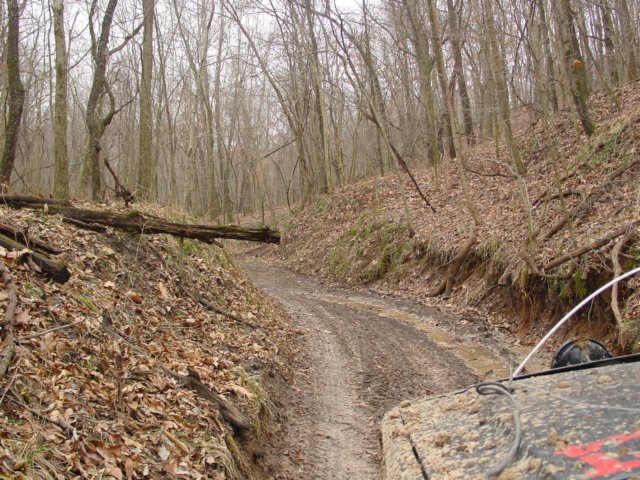 After hitting the trails over at TRL WGN’s place in the morning, I drove over to Rockport Offroad Park to drive a few more trails in the afternoon. Unfortunately, I couldn’t find anyone there to wheel with, so I headed off on my own. 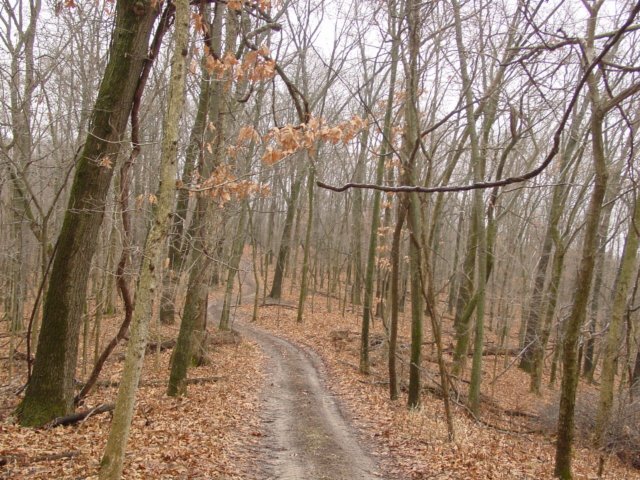 Since it had rained the night before I stuck to the medium-difficulty trails since they were all muddy and slick. I did manage to cover quite a bit of the park by myself, though. Here are a few pictures I took while I was there. Oops! I slid off the trail and had to winch myself back on and up over the hill. You can see my slide tracks below.